One medical emergency should not lead to another one. Unfortunately, many medical errors still occur in emergency rooms. Whether it is a misdiagnosis or a surgical error, emergency room physicians are held to the same standard of care. Emergency Room errors and mistakes can happen for a variety of Reasons. Emergency Rooms are stressful environments that require immediate and skillful medical decisions. We are thankful to have emergency rooms and emergency physicians available when they are needed. Unfortunately, many emergency rooms are understaffed, and are not adequately able to handle the patient load. If a patient is visiting an emergency room, then there should be a sense of urgency to their care. The reality is that most patients end up waiting significant time periods after entering the emergency room before they actually see a physician. This delay period can sometimes aggravate an existing condition, and certain patients suffer severe or additional harm or even death because they were not examined by a physician in a timely manner. Had these patients been properly treated immediately upon their admission to the emergency room, their ultimate injuries may not have occurred. One of the first steps at the emergency room is the triage assessment. This is where hospital personnel, most often nurses will triage (or assess) a patients condition to determine if immediate treatment is needed or not. We have experience handling emergency room lawsuits where mistakes were made in the initial triage that caused our clients greater harm. If you or a loved one believes your condition was aggravated because of improper treatment at an emergency room, let us and our physicians review your case. Our representation for emergency room mistakes cases is based on a contingent fee structure. 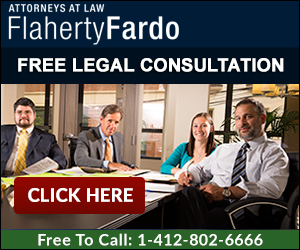 There is absolutely no fee unless we obtain monetary recovery for you or our client.